This look was inspired by my current phone case, which is in my opinion the cutest thing in the world. 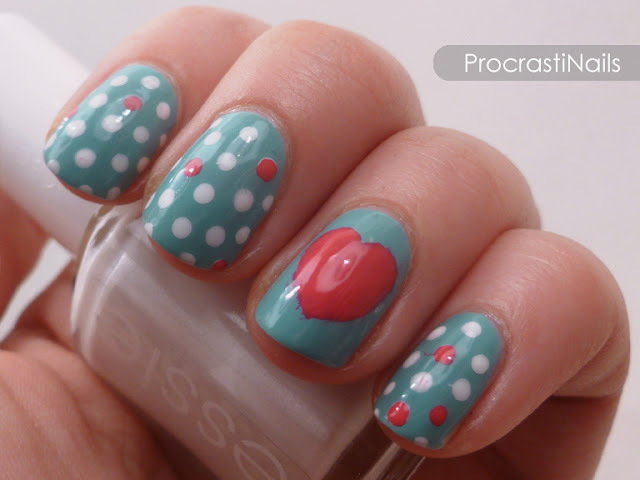 :) I free-handed the heart (look how chubby and cute it is! sldfjsdfs) so it isn't perfect, but I still think this is a supercute look! 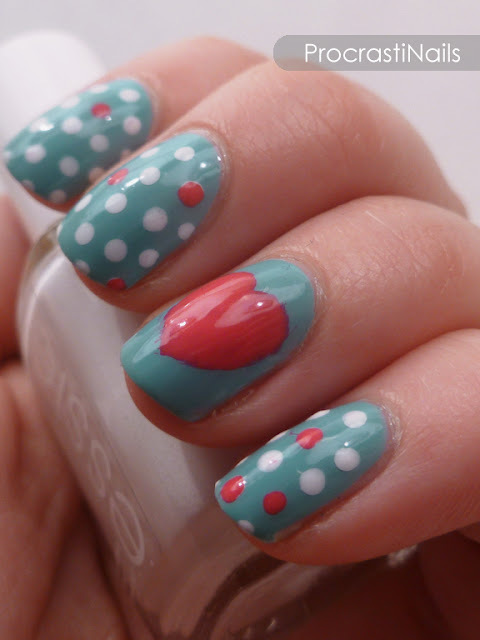 I love these colours together, and I don't think you can ever go wrong with a combo of hearts and dots. This was the perfect little cute and cozy manicure for fall, since it added a little pop of colour to my look! What about you, is your phone case cute or practical or both? 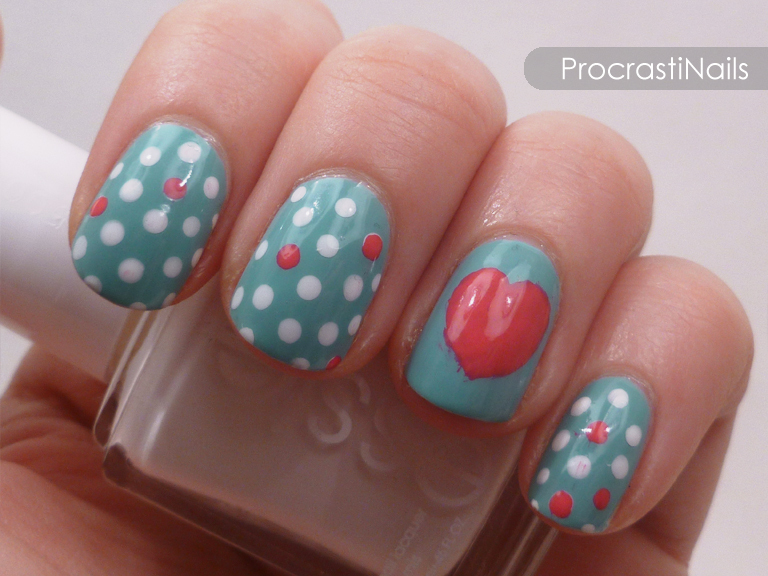 Has it even inspired one of your manis? Let me know! Hehe, I love that stupid heart! It's so chubby and cute! Thank you!! :D I love these colours together... Can't go wrong!